Trades education across Canada is undergoing a harmonization initiative spearheaded by the Canadian Council of Directors of Apprenticeship (CCDA), and supported by various provincial stakeholders. This initiative seeks to align apprenticeship programs nationally, making training requirements and certification more consistent across programs. The intention is to enable apprentices and recent graduates to travel and practice across the country, ensuring a strong, skilled workforce nationally. British Columbia is part of this initiative and has committed to developing resources for instructors and students to support the newly harmonized curriculum. Stakeholders including the Industry Training Authority (ITA), Trades Training of British Columbia (TTBC), an British Columbian Administrators Trades Training Association (BCATTA) are sponsoring the BC Harmonization Curriculum Development Project, a project that supports instructors through the creation of assessment tools, activity plans, and teaching and learning materials. Another supporter in this project is Vancouver Island University’s (VIU) Center for Innovation and Excellence in Learning (CIEL). 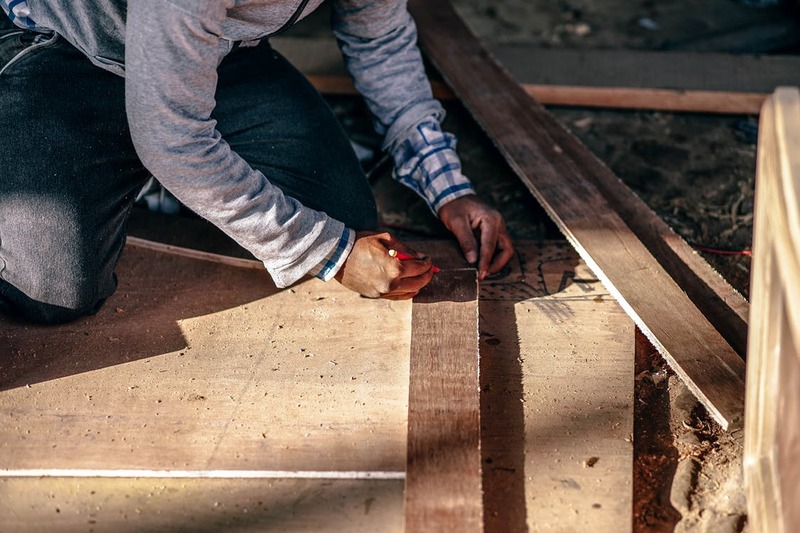 For the past year, the CIEL, along with the British Columbia Institute of Technology (BCIT), has provided support for the carpentry curriculum development project. As an educational developer with the CIEL, and the lead developer on this project, I have spent the last 10 months immersed in all things carpentry. Working with two carpentry instructors, Stephen Pelley from VIU and Tim Dorn from Okanagan College, I have helped comb through existing and new materials, identifying and building out practical projects for levels 1-4. At times I struggled with terms such as “fit of dap,” and “plumb bobs,” but Steve and Tim have been relatively patient, and I’m getting there. Despite hiccups like this, however, we ultimately co-designed and co-built tools of assessment and activity plans for all projects in the newly harmonized curriculum. Much of our process involved identifying and analyzing practical projects, determining which projects were ultimately best suited to demonstrate student learning. Once we determined the projects, we were able to build activity plans to support instructors preparing students to undertake each project. Activity plans included timelines, supporting readings and resources, suggested instructional strategies, and an outline of how the project would unfold for students. At times there was impassioned debate about what project would best serve to demonstrate the achievement criteria laid out in the program outline, highlighting that there is often more than one way to assess student learning. At other times, there was intense discussion regarding how to most clearly articulate assessment criteria in each project’s respective rubric, highlighting that there is often more than one way to assess student learning. And even then, we struggled in choosing which type of assessment tool (checklist, holistic rubric, analytic rubric, a hybrid, etc.) aligned most accurately and most practically with each project. Often there was more than one way to design and build a tool of assessment, but we eventually settled on one, sometimes two, for each project. In order to assess these achievement criteria, however, we decided that separate rubrics for each criteria made the most sense. In this way, students and instructors would be engaging in one larger, authentic project, but breaking down the assessment into measurable chunks that aligned with the achievement criteria from the program outline. We also included self assessments in many of the larger group project rubrics in order to encourage equitable participation, ownership, teamwork and communication skills. For me, this project underscores the collaborative nature of educational development and the importance of trust, communication and openness to other perspectives. Working in isolation of Steve and Tim, I would have been entirely lost. Without their knowledge of carpentry and carpentry instruction, I could never have applied my own knowledge of assessment and evaluation in any sensible way. And I like to think that my outsider perspective was needed in order to break down, analyze and rebuild some of the practical projects and assessments in the existing curriculum. I had to ask a lot of clarifying questions because I am not a carpentry instructor (not even close) but I believe those questions provided clarity not just to me. In this project, we brought knowledge and expertise of carpentry instruction together with facilitation and rubric-building skills. This collaboration has resulted in a solid catalog of practical project outlines, activity plans, supplementary learning material and assessment tools, all of which intend to support carpentry instructors as they move forward with a newly harmonized curriculum. In addition, I walk away with a solid understanding of whether or not my sawhorse has a good quality fit of dap. Not bad at all.